As technology continues to evolve and become more data-centric, the desktop PC remains a versatile go-to platform for gamers, content creators and prosumers. In fact, when people really need to get work done, over 80 percent turn to their PC. At Intel, we’re excited by how far the PC has come and the opportunities that lie ahead. From the first Intel 8086 processor to the latest 8th Gen Intel Core i7-8086K processor delivering up to 5 GHz, here are some innovative ways Intel delivered leading performance in desktop PCs this past year, as we look to deliver new Intel Core X-series and S-series processors and 28-core processor leadership offerings later this year. Processing to the Extreme: Intel Core X-series ProcessorsNew Intel Core X-series processors became available in September 2017. 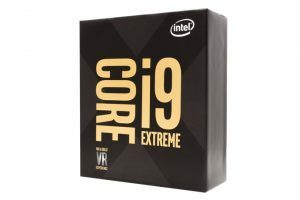 Intel’s most scalable, accessible and powerful desktop platform ever, it includes the new Intel Core i9 processor brand and the Intel Core i9 Extreme Edition processor – the first consumer desktop processor with 18 cores and 36 threads of power. The Intel Core i9 processor takes mega-tasking content creation to the extreme with the optimal blend of processor performance and threads for managing massive workloads and platform capabilities with up to 44 PCIe lanes for multiple graphics cards and peripherals. Intel’s Best Desktop Gaming Processor Ever: 8th Gen Intel Core ProcessorIntroduced in September 2017, 8th Gen Intel Core desktop processors offer up to six cores for more processing power, Intel Turbo Boost Technology 2.0 to increase the maximum turbo frequency up to 4.7 GHz and up to 12MB of cache memory. With an unlocked 8th Gen Intel Core i7-8700K processor, enthusiasts can overclock the platform’s performance to its fullest potential for great gaming and VR experiences. 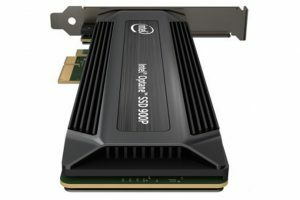 Blazing-Fast Gaming with Intel’s First Client Intel Optane SSDIn October 2017, Intel announced the launch of the Intel Optane SSD 900P Series, the first SSD for desktop PC and workstation users built on Intel Optane technology. The series is ideal for the most demanding storage workloads, including 3D rendering, complex simulations and fast game load times with incredibly low latency and endurance that gives users peace of mind. 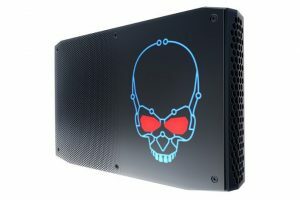 Small and Mighty: Intel’s Trailblazing Hades Canyon NUCAt CES 2018 in January, Intel launched the Hades Canyon NUC, powered by an 8th Gen Intel Core i7 processor with Radeon RX Vega M graphics. This incredible 1.20-liter system is Intel’s smallest premium VR-capable system in the market and packs a powerful punch, allowing users to enjoy discrete-level graphics performance and amazing multimedia experiences for immersive gaming and home theaters. 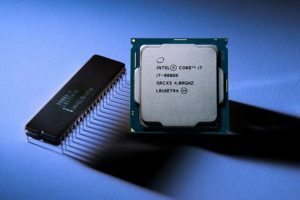 Celebrating the Original: 8th Gen Intel Core i7-8086K Limited Edition ProcessorIn June this year, Intel announced the new 8th Gen Intel Core i7-8086K Limited Edition processor, celebrating 40 years since Intel introduced the x86 architecture to the industry with the Intel 8086 microprocessor. 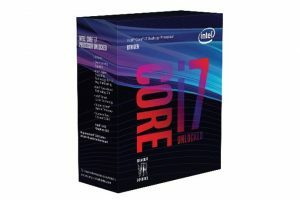 The commemorative processor is the first Intel processor with up to 5 GHz single-core turbo frequency and a 4 GHz base frequency out of the box, delivering incredible desktop gaming performance with the power for advanced content creation and productivity. 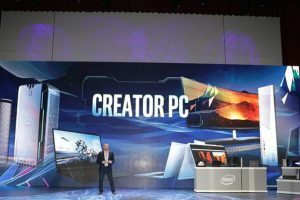 Intel’s Creator PCs Move the PC into the Next Era of Content CreationAt Computex 2018 in June, Gregory Bryant, Intel senior vice president and general manager of the Client Computing Group, introduced the Creator PC category that Intel is enabling with its OEM partners. Creator PCs provide differentiated aesthetics and peripherals, upgradable form factors, and end-to-end technology optimized for the creator workflow, including Intel® Core™ i7 and Intel Core i9 processor performance, Thunderbolt™ 3 technology and Intel Optane SSDs.